Eric, thank you for this! Very fitting, and you know I loved him. And I see that you didn't have to go far at all to find this charming b&w photo. Now -- since we've been on the subject -- do you know where he's being buried? I hope the public garden he owned in Marrakesh remains available to the public- it's lovely. C'est un bel hommage, et le fait que la boutique soit fermée rend la photo encore plus intéressante. Une grande part de la culture française s'en va avec lui. Buried in Eglise Saint Roch, really? I didn't know that there was a cemetery there...Or maybe you were only speaking about the ceremony? Alexa, you beat me, congrats GF! (I was brushing my tooth!If I had no a soo good hygiene, I would have been first! LOOOOL excuse me for this one). From all that I've learned about him, he deserves credit for breaking open the possibilities for women all through society, not just in the wealthy classes. There's been a great deal of discussion over in The Sartorialist blog about the rank of fashion designers in history. Your capture of this capture is charming, as if he's peeking around the cage. Definately farewell to Mr. Laurent, he certainly left his mark on the world. Yes Eric this photo is great i think. Yves Saint Laurent, sometimes imprisoned by convention but showing style and stunning impact throughout. Guille i think i prefer you to be second than to have dirty teeth. lol. I'm off to brush mine now and into bed before midnight for once with a great companion. He he i meant a good book. The House at Riverton by kate Morton. Oh look dear Eric...we posted at exactly the same time... see? We are so....(sigh)....you and I.... lol. Oui, Ma Reine, I agree. I think the "cage" makes the photo more powerful. And Guille, you're right, of course he won't be buried in Saint Roch!! I must be very tired! Thank you for pointing that out. Wow we're all so close here at PDP we even brush our teeth all simulaneously. Aren't we just so sweet? LOL. Well, if we look closer, 2 days, 2 posts about death...Man. Fortunately, the pix are everything except morbid! Hehe Lynn, I realize that I said 'tooth', slip!! No denture for me, for now...I go to bed with a great companion too, "he"'s called...Civil code (Common Law)! De rien Eric! ;) sleep tight. Lynn, we're so cute. Maybe we'll fall asleep in the same time too?! Oooh i've been to bed with him, too, Guille, though many years ago. I found him a little, oooh i don't know - samey, you know? Same old, same old story. I ended up jumping ship and slipping into bed with one of his more exciting associates; Criminal. I preferred his... dangerous quality. LOL. LOL Lynn, if you want to know the truth, I'm between Civil Law and Criminal right now, since I have an exam of each tomorrow. I'll tell you later which one I prefer!! The tough criminal or the sweet and wise Civil...hmmm. Okay, stop now. Bonne nuit! lol but of course! Doesn't everyone wear a Top Cat nightshirt? he he. Good luck with those exams, Guille, now get some sleep. Several years ago I watched a documentary about his final Spring collection (2002) - Yves Saint Laurent: 5, Avenue Marceau. It was a fascinating look at the process from the design, to creation, to show. He was not an easy taskmaster, but it seemed that his staff loved him and did everything in their power to please him, working late into the night to make last minute changes before the show. The video can be found on Amazon but you may also find it for rent (Netflix in the US). There is such a barrier between we the living and those for whom we grieve. This was really weird, but on Sunday afternoon, I was busy watching the documentary about his life online with Netflix, and when I got done and loaded a new browser, there it was, the news of his passing. So, I wrote him a post that day. I still have a little bottle of his YSL "Paris" perfume from the last time I got tempted at the duty-free shop. That perfume is very light, easy to wear and has been a favorite of mine for a lot of years. RIP Monsieur St. Laurent, and thank you for your creative vision. May he rest in style. Un grand nom de la couture qui s'éteint. C'était à la une du New York Times online (une belle photo avec Catherine Deneuve). I didn't know much about him, but I'm sure he had interesting designs. RIP, YSL. Such a fitting representation of the passing of a cultural icon! Guille: GF, moi -- oui (thanks to your "tooth", peut-etre), but you know I couldn't let le chien avec la drole de gueule gagne pour la troisieme fois. Just kidding, Bibi -- you really are adorable. Must say, if I needed to faire dodo, la Code Civile sounds like a pretty good sleeping pill. Criminal Law perhaps less so. De toute facon, bonne chance avec les examens. BTW, did you know that YSL's parents wanted him to study law? Aren't we glad he did what he wanted instead? Tomate, I still wear Paris every day, and have for 25 years, since he first created it in 1983! Love what you've all had to say about YSL -- his vision and his legacy. YSL was a genius the likes of which we will not see again. I think it is so fitting that his funeral mass will be held at the Paroisse Saint-Roch, eglise des artistes. This is a beautiful shot, black and white like his famous "le smoking" jackets, and the closed grate is like the curtain has come down on his last show. So sad. There is a huge retrospective of his work on display in Montreal which opened only days before his death and will be traveling here to San Francisco in November. I look forward to seeing it. tall gary -- congrats on having the last comment of yesterday (at least for now), and also for making me howl with laughter (HWL, as opposed to LOL)! What IS our fascination with the so-called naughty bits?? Not much to say. Iconic is the word. Your photo is perfect, Eric. btw Michael, thank you for the card! tonton, interesting to know that a retrospective of his work will be in San Francisco in November. Maybe you'll see Lois there -- you'll recognize her as the beautiful blonde in the YSL 'smoking'. Just popping in to say hello to everyone as I haven't much time lately. The photo is perfect Eric! Sends a message without a whole lot of words. You're welcome SOOSHA_Q. I'm sure that everyone knew that IT'S YOUR BIRTHDAY TODAY!!! "Le plus beau vêtement qui puisse habiller une femme, ce sont les bras de l'homme qu'elle aime. Mais pour celles qui n'ont pas eu la chance de trouver ce bonheur, je suis lá"
I read the Le Monde article about YSL tuesday and there was this famous quote of him. Perfect shot Eric. Very meaningful and touching. May your Paris fund increase more and more!!! Great photo. Pure and simple. Sounds like we'll need to do a PDP-SF trip to see the YSL show in November. Lois can lead the group (in her "le smoking" of course), and I'm sure each outfit will bring forth an amazing story! Alexa...I saw the notice for the Montreal show in the Spring issue of the "France" magazine and was quite excited to see that it would be in SF in the fall. Now that he has passed away it has me even more interested. Check out the website for the Berge'/YSL fondation. Sorry I don't have time to hyperlink. Hello, Alexa, from "le chien avec une drole de gueule"! Bibi was out on the town and made it home too late to be first. A la prochaine, peut-etre ce soir, Qui sait? Ouaf. I love Yves St. Laurent's perfume, Rive Gauche. No other words are necessary. Thanks, Eric! Alexa you crack me up!!! "I couldn't let le chien avec la drole de gueule gagner pour la troisieme fois"!! Oh gosh this one is awesome,and from an English speaker, it's even better. I'm laughing for real, and spilling my hot tea on my tee-shirt. OBAMA OBAMA OBAMA OBAMA!! Yeah! You're are not going to elect a potatoe right? (I don't know in the US but in France 'Mc Cain' is a famous brand of French fries!). A 'rant' against the wild arrests of the Police in Montreuil (Paris)against what they call the 'illegal immigrants', who have a job and pay their taxes, but anyway, who cares? So, Lois, I guess you're on come November. Would love to be there myself. Who knows -- maybe. Monica -- thank you SO much for the wonderful quote from Saint Laurent. Just shows what a sweet, sensitive guy he was. He was a monument of elegance, class, perfect taste. One of the best representative of French and Parisian spirit. Rest well under the bright sky of Morocco. And yet, back to near the beginning: Paris 1962, Schatzberg. RIP Yves. I've been wearing one of his perfumes for 30 years. I never change because it suits me. It's called "Opium". I remember Opium, Mme! My friend used to wear that, i think she still does, like you! I've had it once or twice, but stuck fast to Chanel and Jean-Paul Gaultier. Oh and we're back on the subject of perfumes. Doesn't take us long, does it? I wanted to wear an old Yves Saint Laurent shirt today in honour, but i can't find it! It was one i stole from a boyfriend years ago. Actually no, i didn't steal it, i just put it on myself, paraded up and down a bit and pleaded with him . lol. 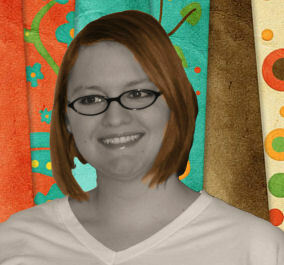 Eric, I've been reading your blog for almost a year..I am very new to the 'blog' world. This photo made me join...Monsieur Laurent was a very influential artist...he will be missed! And thank you for making me miss paris like an aching pain in my side! I've just seen some footage of the funeral today in Paris. Sarkozy and Mme So Cosy are sitting in the front row. Mme is looking beautiful as ever, no doubt wearing Saint Laurent. I can't confirm but she looks very elegant, sombre of course but grace itself. How fitting. Bibi -- so you were out late, eh? Well, you DO look like a total party animal! Tonton -- thanks for the link. I went there, but will have to go back when I have more time to check it out. 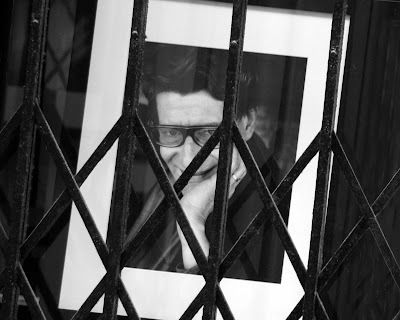 I love the photo of YSL that they've put on the opening page. Lynn -- if Mme So Cosy (very funny) wasn't wearing Saint Laurent at his funeral, she bloody well SHOULD have been, don't you agree? What is "la drole de gueule"? My crappy old dictionnaire doesn't have "gueule." Hope you had fun out on the town, Bibi. Wish I could afford an YSL original, wouldn't that be nice? But his influence is everywhere, thank goodness. A magical and creative person, will be very missed. I do indeed Alexa! i think it must have been but not so sure. Oh well chance would be a fine thing, to be there ourselves and to wear Y St. L ! Guille -- even if you're not allowed to swear elsewhere, I'll bet you have a vast vocab of good curse words! When I was first in Paris and younger than you are now, my boss asked me (in English) to go the the stationery store and buy her a felt-tip pen. Unfortunately, when I got there, I very confidently asked the nice lady behind the counter for a foutre instead of a feutre. Oops. Could have been worse, if it had been a man behind the counter! Not the first -- or the last -- time I made a complete fool of myself while trying to learn your beautiful language. Alexa...the felt-tip pen story is hysterical. It reminds me of the time at a French dinner when I (a couple years of French under by belt)was asked if I wanted more to eat, and I replied something like "Je suis plein." Someone told me that I basically had said that "I am pregnant." Suffice to say, I now just say, "Merci." No offense taken by the "chien avec une drole de gueule"! Bibi goes to work tomorrow, so she probably won't be up too late tonight, so go for it, Alexa! Thanks tonton_flaneur for the inside information regarding the YSL show coming to San Francisco in November. No, you didn't say that Alexa? You did? !..I can't believe it! Oh gosh it was probably an awful situation! Did you realize after or did she point that out? In French I make slips all the time so I understand what you felt. It exists here a shop called Cyrillus (children clothes). Once, I asked my aunt in front of all the family if she had ever been to Syphilis. Yes, I did. Why oh Why! I think we have to translate 'foutre' for non French speakers Alexa. It means 'sperm'. Yeah, she said 'sperm' instead of 'felt-tip'. Alexa, Thank you. I was wondering what to wear to the YSL show. That is perfect. Eric, thank you for the photo. YSL was the most popular designer when I was young and I loved his clothes. When i want to remember that time I just spritz on some Rive Gauche. Also love Opium. Tonton-thanks for the link and the heads-up on the YSL show coming to SF. Looking forward to it. Alexa, you asked for a FOUTRE??? Just HOW could it be worse? lol. Monica, Thank you for the beautiful quote. He is right you know. Lynn, never believe Swiss guys. Trust me. hehe. Actually there is an other meaning of 'foutre', but I don't want to be rude again (again!)... Okay, when you say 'j'en ai rien à foutre' it's 'I don't give a damn'. No, I don't want to imagine in which kind of sentence Lynn!!! Man, what's happening here! And Lois is thanking people between our awful sentences as if nothing happened. LOOOOL. We have to stop now I guess! Whew! I dunno why my browser refused to let my on PDP for so long today! I'm here finally, though, and BOY am I feeling good now! You guys are the best! Mon-thanx and it is. I can't wait until I can go to Paris!!! guille-On top of a thank you for my birthday wish I'd like to say YEAH OBAMA! coltrane- Pardon me while I indulge a bit on my birthday, but I'm just giddy as heck that such a great looking fellow gemini (aside from Michael, of course) would take the time to wish me a happy birthday! And we're practically neighbors! *slight bit of droolage* ehem...sorry! And, of course, thank you petrea! You all are so great to me! Coltrane, "I am pregnant." That is too funny. I woke up today with a sore throat and very weak -- I feel like a cold is trying to get me. You just made me laugh out loud, and I am still smiling. Laughter is the best medicine. Guille, No, don't stop. It's making me laugh. You and Lynn are so funny. No No No, I'm definitely not pregnant. I am just feeling a little -- well, not so good. I just had some Vichyssoise -- maybe that will help. Coltrane is the one who said he was pregnant -- he said it at a dinner party. Soosha...you are kind for such glowing words. I don't hear them enough, so I'll take 'em and say MERCI!!!! J'aime PDP aussi, Guille, parse que j'apprendre le français vrai! Oh--and congratulations to both Lois and Coltrane. Such happy news! Who's the fa--mo--...? No, Guille, the red-faced nice lady managed to figure out what I really wanted (and teach me the word 'feutre'), but I had to endure further embarrassment to have my mistake explained by the people at work (as soon as they were done laughing until they peed). Lynn -- at the risk of being tossed off this blog for using bad language, I'll say that if the Swiss's proposal didn't appeal to you, you could have told him, "Va te faire foutre ailleurs." Bibi -- Seems le chien and I will both be otherwise occupied at the appointed hour. Someone else's turn at GF, alors. Glad you didn't take offense at my remark. I admit, I was going for a cheap laugh at the dog's expense. Shame on me. How did this appear as I was typing something completely innocuous? LOL Alexa !!! Well i admit to being quite taken by his suggestion at the time....he was my boyfriend after all.... Goodness the things which pop out on PDP - who'd have guessed? he he Lois it was all Coltrane's fault...and ...maybe mine too. Snigger. Seriously though i do hope you feel better soon. I hadn't realised you were unwell i just thought you were kidding about as usual. Guille another fab photo of you! I'm sure you must be the PDP pin-up for the guys. Where is Eric? This is odd. He usually posts by now. I hope everything is all right. Maybe he is at a party. Thanks Rose and Lynn. I just woke up from a nap. My throat is worse, really sore. That is the biggest reason I always wear scarves. I wasn't wearing a scarf the other day nor last night. Now I am paying the consequences. I could not tell you how many scarves I own -- in every size, color, shape, etc. I know at least a gazillion ways to tie a scarf. I go to the fabric store and buy sheer and opaque fabric. I ignore the cost because I only buy about a quarter of a yard. That is enough for even the largest scarf. It usually comes out to about $US2.00 or $US3.00 a piece. I don't buy ready-made scarves. Lois, I was wondering the same thing about Eric. No one else is complaining, though. Maybe they're all at a party without us. I'm sorry you're not feeling well, Lois! Take care of yourself! Lois Simon: there is another "sore throat" thingy going on. People at work had it last week and my throat is feeling kind of weird, too. But it seems like it's not a long lasting one, as far as I can tell by observing around me. Hope all is well with our down-to-earth (sometimes literally, huh?) but nonetheless hero Mr. Eric. Eric -- it's 3 a.m.! Should we be worried? I hope not. Lois -- hope you're feeling better soon. tall gary -- thanks for the oh so informative link. Guille -- Ooh la la, quelle photo! Another Californian logging in surprised to find no new post from Eric! Lois sorry to hear you're feeling under the weather. I'm blaming the wind; it's like mistral season in the South of France -- driving everyone mad! Lois do you buy your fabric for scarves at Britex? That's the most amazing fabric store in SF. I envy Lois her scarf tying talent. I haven't yet quite gotten down properly the tying of so much as a shoelace. (So far I've been making do with clothes pins on my bespoke Edward Greens). Thanks Petrea, I had some chicken noodle soup and went back to bed. Thanks Tomate for the head-ups regarding this sore throat thing. also shop at Far Out Fabrics on the Haight. Gary, Your funny. Having trouble tying your shoe laces -- there are a few ways to do that. Coltrane, Thank you. I'm taking Vitamin C now. PS: I think Katie's idea for a YSL SF PDP party in November is a great idea. I don't believe he has ever missed a day. I think it was the day of the ice-castle bar that he posted quite late having been partying. I shouldn't presume to even guess today, however. Oh, Petrea, I got a copy of Shelley Rice's "Parisian Views" today. Not so many photos but a few Marville's. Also some of Henri Le Secq, and others. I just read that Paris acquired the appellation of "City of Light" in honor of the, at the time, newly installed gas lighting. !840s? 1850s? Well Eric does have until 11:59 pm to do his June 6 post. We're all just so spoiled because he usually posts between 12:01 am and 1:00 am. I hope it's not a strike of his internet service provider! Lois I would love to join you on a trip to Britex! You could help me pick out fabric for "no-sew" scarves AND show me how to tie them so that I look French! And I'm glad you're up for a PDP-SF YSL trip. Count me in for sure! See what I mean about Lois? My mind just so futilely tries to wrap itself around the boggling concept of there being, as she wrote, a few ways to tie shoes. Do you mean, Lois, like, more than one way? As in several? And me not cognizant of any. Oh, the shame. Next, I suppose you will try to convince me that there is more to cooking than can be done in a toaster. Where is our dear Eric? Enjoying la nuit parisienne, I hope. Hi Monica! It's nice to see a non-Californian tonight. What time is it in Paris, I wonder? I had to switch computers, Something wrong with the keyboard on my PC. I've just gotten this MAC laptop and now I'll have to learn how to use it! Petrea, once you go Mac, you never go back. But it is a bit of a cross cultural experience if you've never used one. Say, it is long past the time for a Paris photo, indeed. Maybe Eric is testing us, to see if we really, really love him, and are prepared to beg....? For international time this Time & Date site is good.You can even set up your own "Personal World Clock." Oh, but you have a MAC. Click on that dashboard thing in the dock (dock stuff can be found under the top left apple icon. The dashboard icon looks like a black-background speedometer). Anyway, in the dashboard there is a "World Clock" widget. You might have to click the big plus sign to see it. My "World Clock" is way on the right. Once it's on your desktop you can move your curser onto it at which time you will see a little i in the bottom right corner. Click on that and work out the city you are interested in... It's probably easier done than said. Petrea, It's about 5:00 am Paris time. Gary, You're funny, there are three ways to tie shoe laces that I know of. Sounds like a toaster cookbook is perfect for you. Katie, Sounds great. We will do that. I sent my last two comments to Pasadena Daily Photo instead of Paris Daily Photo! Well, it's an off day for me computer-wise. Ihave to sign off for now. Tall gary, I have one word for you: Velcro. Petrea: Velcro. Isn't that the newfangled stuff they just came out with in the 60s? Isn't it kind of hard to learn? Hope Eric is just sleeping in (or out). Must go to bed. Soon the Parisian contingent will awake -- and they can take over worrying from the North (and South) Americans. Alexa, I'm worrying too. I was just thinking how very sad it would be to not have PDP anymore. What if, what if???? A panic attack. Eric is such a compassionate person -- I hope he reappears soon. I'm worried now...this has never happened before. Eric where are you? We need you Eric, for our Paris daily photo fix! Please don't be tired of us. though it is still nice to see this homage to YSL. Do you see my addiction to PDP? The first thing I do when I get up is to check the photo but today... no photo! Maybe his computer crashed or something... don't they always crash when we most need them? Lois! Lily! You're scaring me now. I think I know what happened. I'll bet Eric used scheduled posting like I did for early this a.m. just after midnight. I woke up at 12:30, too hot to sleep, and checked my blog--no photo, even though the time had passed. So I posted it in real time. I'll bet Eric will check his blog this a.m. and gasp! Thanks Bibi. We can think now, for a while, that it's a Blogger glitch. Maybe it's a try, maybe he wants to see our loyalty...I hope. Maybe his computer is broken so he had no way to even post a comment and will do it as soon as he will arrive at work. Right, Eric?!! Mais plus sérieusement, c'est étrange. Un événement de force majeure a dû subvenir. Je n'aime pas ça. Tiens nous au courant Eric! 'Just read your post, Bibi ... I hope you are right! Michael please pop up and tell us what's happening! I wake up, it's raining (again) il it 18°c in my kitchen I had to look on the calender to check if it is really June. And on the opening page (?) of my computer .... what ? PDP 05 June picture ! I feel this day won't be a good one. Just hope Eric didn't show up on his blog for a pleasant and nice reason or for a technical one. He surely deserves a day off but, if so, we, addicted people, should be prepared to face a day without PDP. Sérieusement, Eric, vous nous avez trop bien habitués, et vous nous manquez. J'espère que tout va bien pour vous. I'm pretty sure what I said above is the reason, and that Eric is okay. Maybe he goes to the office "late" and hasn't checked his blog yet. Do I get some sort of Golden Something if I'm right? A biscuit? Woof. Biscuit for Bibi. I hope you're right. Coucou, fellow campers! It's good to know none of us is keeping vigil alone! Surely Eric will check in from work before long and all will be well. I must knock off and go to sleep. Parisian Heart, you're a night owl! Good morning Eric, and to all of you in Europe and the UK (and elsewhere). May this be a blessed day for all. Eric, tout va bien ? Que se passe-t-il? Je viens de me lever et oh... pas de photo aujourd'hui? J'ai cru que c'était mon ordi et puis j'ai lu les commentaires sous la photo YSL. Tout le monde est inquiet... Rassure nous dis nous que tu as eu envie d'un petit break mais que tu n'as rien de grave. Bibi is still waiting, too. Still sure, however, that Eric is either still sleeping or else just hasn't checked his blog, and is oblivious to the international furor his missing post has caused! He did say above that he was very tired. I would wish him all the rest he needs or wants. Methinks Bibi is bucking for more biscuits. Now I'm worried about my own scheduled post! Harley bikers with overflow pictures linked and everything! Don't let me down, Blogger! Don't let me down. Bibi was right about the scheduled post situation. I had to go in and manually publish my new one, after it passed the time indicated. LOOOOOOOOOOL. Pas de panne d'oreiller, mais panne de cerveau! Sorry everyone, I should buy myself a brand new brain (mind you, such a comment on a photo of someone who just died from a brain tumor may not be really appropriate! ), I made a mistake setting the new post scheduling feature of Blogger and the photo did not show at the time it was scheduled for. I should try this more often though, it feels good to be missed that much LOL! > Bibi "Maybe he goes to the office "late" and hasn't checked his blog yet." Actually today I have a very busy day so I did not take the time to check PDP from home, then left very early to the office and waited until 9 something to realize that the "unthinkable" had happened LOL! Ah, Eric you see how much you are loved here? Lois the scarf thing is interesting, i too was going to ask about hemming. What happens, then, it just frays? He was a revolutionary of fashion. His creations will last forever. ahhh!...relief coupled with gratitude, a great feeling! I'll be back later to truly check the intriguing photo of the day out. PDP & the nice people who frequent it are truly one of the bright spots of my day. I love that everyone is so concerned-nice people you all are! A beautiful tribute and great photo of a French icon. Think 'style' and you have the great, late YSL. vneumwxxwycaphtxiege, http://yahooscanner.net Yahoo Scanner, MeeJTPH.